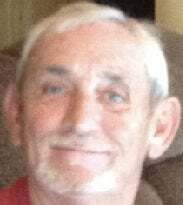 James “Butch” York, 74, Lenoir City passed away Sunday, April 6, 2019. Born July 9, 1944, Butch was an avid golfer and loved spending time at Riverview Golf Course on the greens. He graduated from Powell High School. Butch was preceded in death by his father and mother; and his best friend, John H. McMillan II. He is survived by his children; god-children, Matthew McMillan and Shelley McMillan Pace of Lenoir City; special caregivers and friends, Tim and April and Troy Lee; golf buddies, Tim Lee, Junior Ward, J.C. Monger, Bill Bishop, Bill Lee, Jerry McCloud, Russell Alford, Jake Renfro, Roy Adkins, Junior Robinett, Jimmy Herron, Ron Herron, Mikey Goforth, Carl Goforth, Robby Gray and Dale Eubanks. The family received friends Thursday, April 11, at Click Funeral Home in Lenoir City.